Halloween World through Inspiring Design and Spooky Surprises. 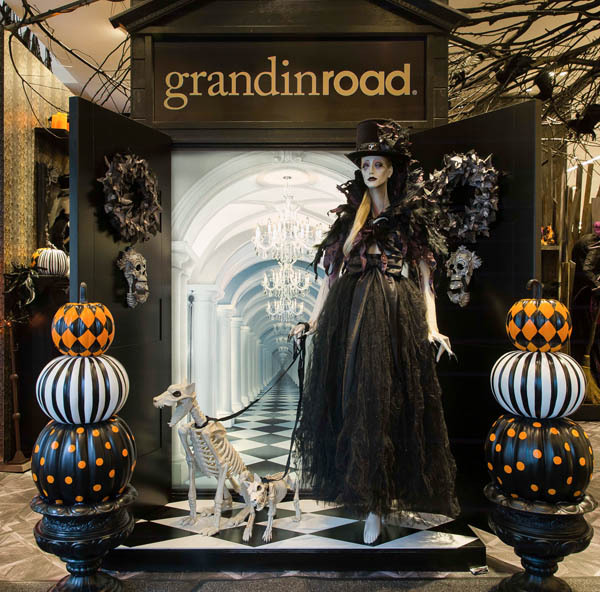 Grandin Road, a retailer of home décor products featuring inspired design, casts a fashionable spell on shoppers as it launches its newest retail experience to celebrate the Halloween season. 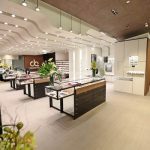 Grandin Road will bring its first-ever retail concept store to Macy’s in the heart of Herald Square, a store known for bringing holidays to life. 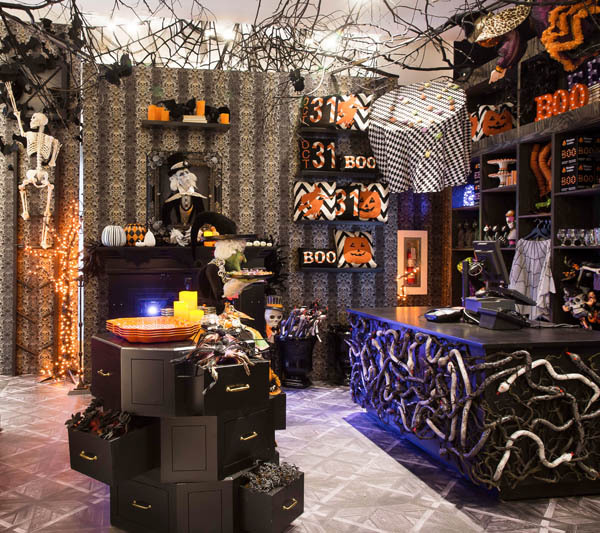 Complete with magical, mysterious accessories and enchantingly elegant decor, the retail space is designed to inspire, spook and entertain Macy’s visitors throughout the months of September and October. 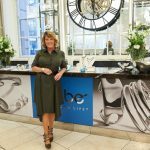 The Grandin Road Shop at Macy’s Herald Square will bewitch customers beginning September 1st through Halloween on October 31st. 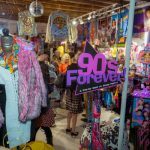 The store will give fans of the catalog and online retailer a “touch and feel” experience of the brand’s collection, which includes over 250 unique designs. The Halloween enthusiast will swoon over a selection of Chrome Skeletons and Designer Pumpkins, in addition to a variety of its well-known animatronic props, including Haunted Typewriters channeling messages from another realm and life-like Crawling Monster Hands. 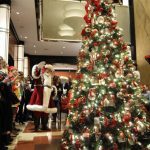 Fans will also have the option to shop exclusive items available for purchase only at Macy’s Herald Square, such as Halloween-themed bar and serveware, artisan-crafted skeleton figures and the ability to buy fan-favorites such as Eyeball Orbs and Window Crasher Ghosts individually for the first time. 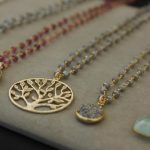 Product prices range from $3.00 – $1,299. The success of Grandin Road’s Halloween line has been developing steadily for over a decade, with the brand’s clever and aspirational designs striking a chord with a growing specialty consumer market. 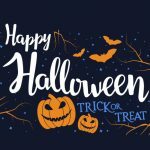 Once only a single day of costumes and trick-or-treating, Halloween has expanded to a full season of ghoulish fun and spooky fantasy that people of all ages enjoy through celebrations, parties and home entertaining. According to the National Retail Federation, in 2015, Americans spent $6.9 billion celebrating Halloween, with $1.9 billion spent on decorations alone. 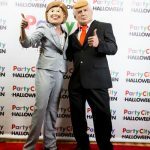 Last year, 49 million Americans were predicted to attend or host a Halloween party. The store will be open to the public from September 1st to October 31st, inspiring consumers to create their own personalized Halloween tableaus, with styles ranging from elegant to fresh, chic to ghoulish, and just down right chilling. For more information shoppers can call MyStylist, Macy’s complimentary personal shopping service at (212) 494-4181 or visit www.grandinroad.com/macys.